It's a simple DIY that can really switch up your current wardrobe. 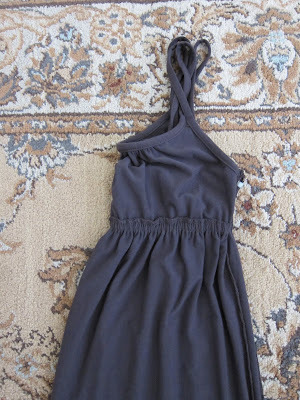 Take a maxi dress and refashion it into a romper, or jumpsuit as some may call it. Jumpsuits and rompers seem to be everywhere these days. 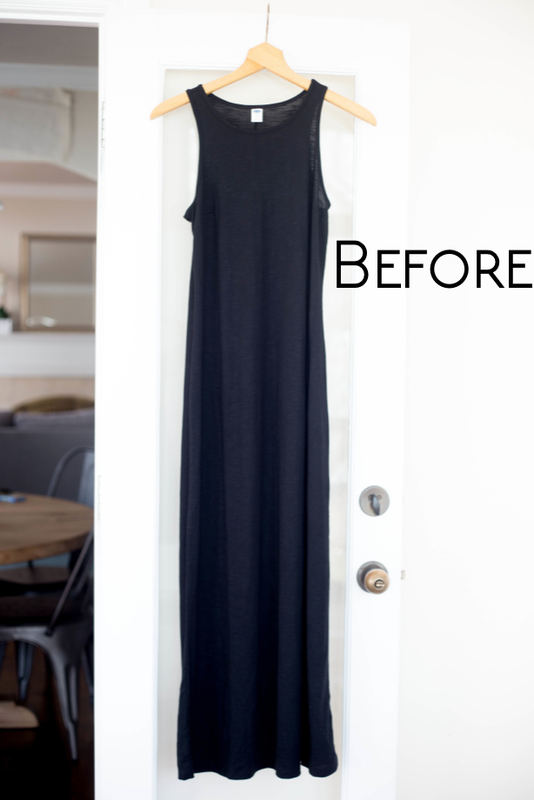 Today I will show you exactly how to make your very own jumpsuit / romper by refashioning a maxi dress! Take a maxi dress and your favorite pair of loose pajama bottoms. 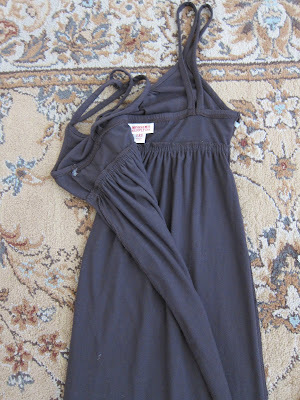 Mine first DIY jumpsuit was patterned after some sweat pants., which worked great. Today I'll be showing using a current jumpsuit as my pattern. The looser it is through the crotch area the better and probably the cuter :) Grab those real comfortable pj bottoms or use a romper as a pattern. 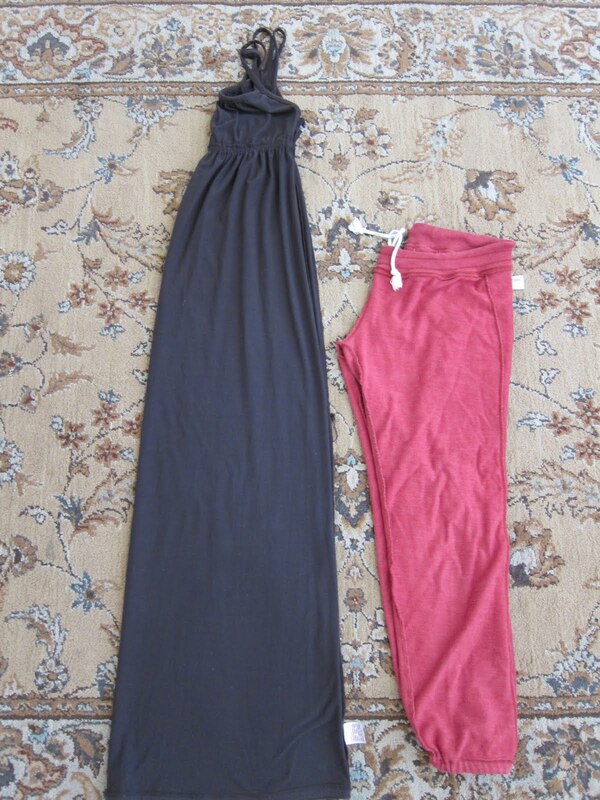 Turn BOTH the maxi dress and the pj's INSIDE OUT and fold them in half. Place the jumpsuit or pj's on top of the dress. 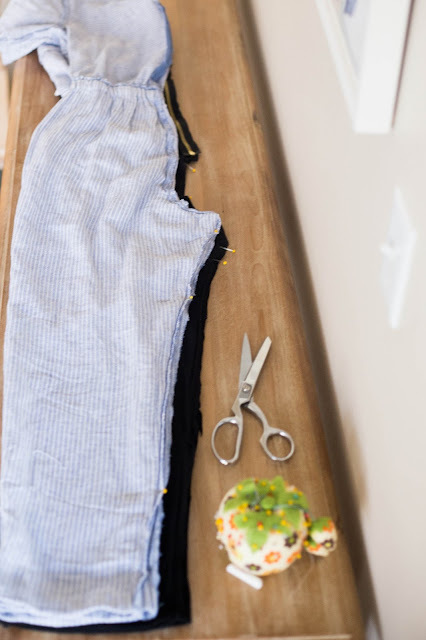 Make sure you line up the bottoms of the pi's with the bottom of the dress so you won't have to hem anything! 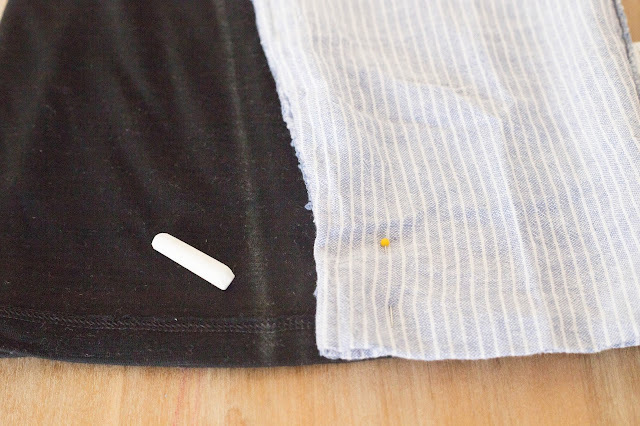 Trace about a half inch or a inch away from the pj's for seam allowance. When you get to the crotch just draw a little curve to the edge of the dress. Cut off the extra fabric. This fabric is actually the middle of the skirt and if you have enough of this extra fabric, you could use it to make a belt. Unfold and pin. 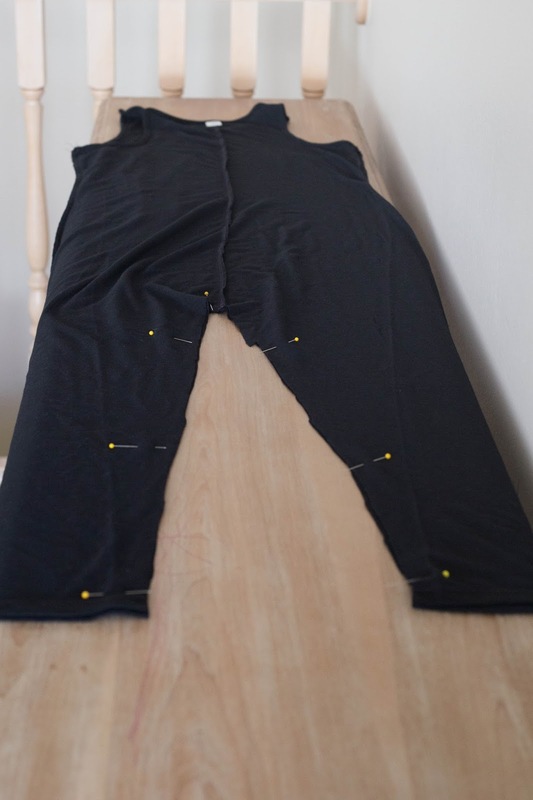 Sew along the inseam. 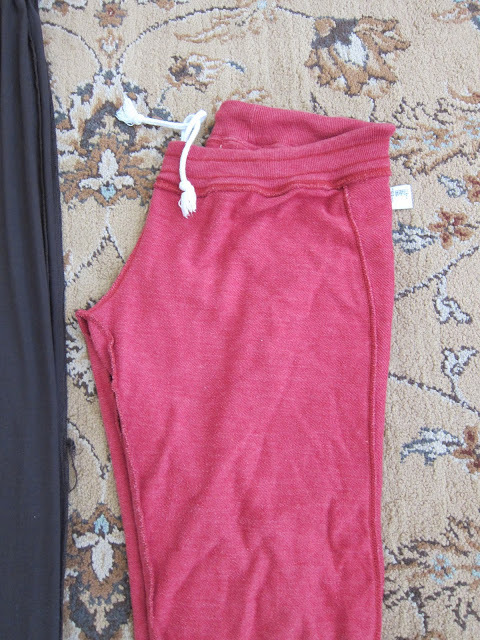 Add a zipper in the back. Here's another look at my original post if you are a little lost. 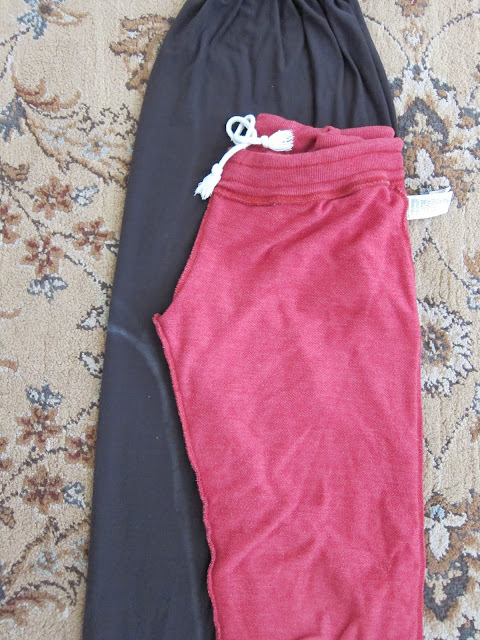 Fold pants and maxi dress inside out like so. 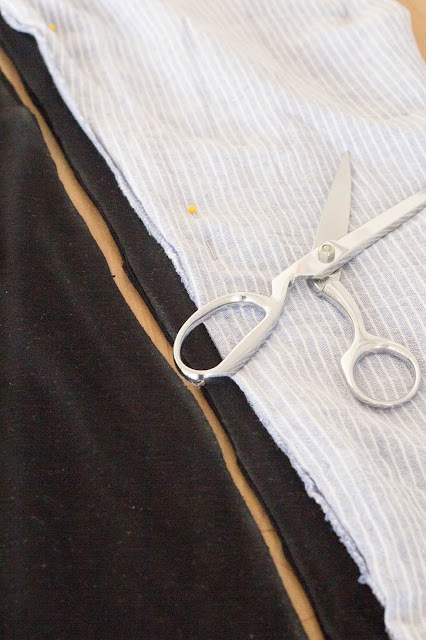 Cut on the line and sew the inseam. Add a zipper if necessary. That's all there is to it! Add a belt on the waist or wear a long necklace to anchor the piece. Why aren't you styling them for us? : ) They look pretty cute! I wish I would wear a romper. I know they look bad on me and most people, but I am pretty sure that you and Megan could pull them off flawlessly. So cute! Need a picture of you wearing it! we need a modeling picture from you! it looks super comfy! Hi, I am from Australia! I found your blog via pintrest. But the most startling thing I noticed is that we have THE EXACT SAME RUG!! Ha Ha. That is all! I just had to share the bizzareness that is the world. Can't believe I stumbled across your blog, then went from one post (mod podge) to another til I saw this one, read it, then saw my rug in your photo!!!! Love the tut too, I might just try it! This is genius!!!! I have a maxi dress that has some crapped out elastic....this is the perfect project for it!